Load cells are used in bulk material handling systems to gauge the weight and force of a load of bulk material. The purpose of this ability is to test mechanical systems and monitor their output during production times. Load cells are particularly important for maintaining the accuracy of the industrial scales that are used to weight bulk products. Compression and tension are the most common force measurements made using load cells. Many load cells are built with an internal strain gauge, a small device that can measure how much strain is put on an object using electrical signals. Force gauges do the same thing but for push-pull testing or measurement of flow. The flow of liquid or viscous bulk materials can be measured by pressure sensors. This is useful to determine the rate and force of flow through a bulk system for optimization and efficiency purposes. Digital load cells are the most popular and the most easy way to access the information that sensors pick up during operation. In food processing facilities, load cells play an important role in measuring ingredients before they are entered into a mixture. This precision is critical to the on-going quality of a product. Perhaps the most important function of a load cell is to determine the exact weight of loads, like a loaded pallet. When bulk processors ship their goods, they need to know the precise weight for logistics and billing reasons. Load cells provide readings that are accurate within 0.25%, which is extremely precise for applications where a single load may weigh several tons. So how exactly does a load cell work? A load cell is designed to convert mechanical stress into electrical energy. Information is received in this way and sent to a data collection system in the device. This is then turned into an output or reading that an operator can see as an item is placed on a scale or material runs through a tube. Analog load cells still exists, but they have been largely surpassed by digital load cells because they are more accurate and easier to read. In applications where a load cell is used to shut off equipment, the cell is designed to sound an alarm when a predetermined event or set of criteria is observed. 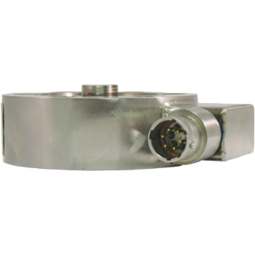 Load cells can be fitted with multiple gauges. The more gauges, the more sensitive the cell will be to changes and the more accurate its measurements will be. Necessary accuracy, type of force, and response time are among the most important factors that must be considered when a cell is being designed for an application. Load cells are used in equipment at bulk material handling facilities in mining, food processing, pharmaceuticals, oil & gas, agriculture, and other industries. 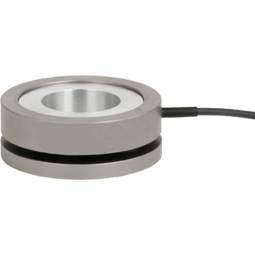 Although a load cell is very small, it has a huge impact on the efficiency and cost-effectiveness of major operations. Some manufacturers specialize in load cell production and work with industry experts to create devices that perform specifically for certain materials or applications. Others are more general and can be used in many different bulk handling capacities.